Our new Introduction to Cables class was mentioned in our last blog, but we also have a new Introduction to Cables three hour workshop that will also present yarn choice, gauging and size choice for the adventurous beginner! Learn the basics of cables with leg warmers from Tin Can Knits. 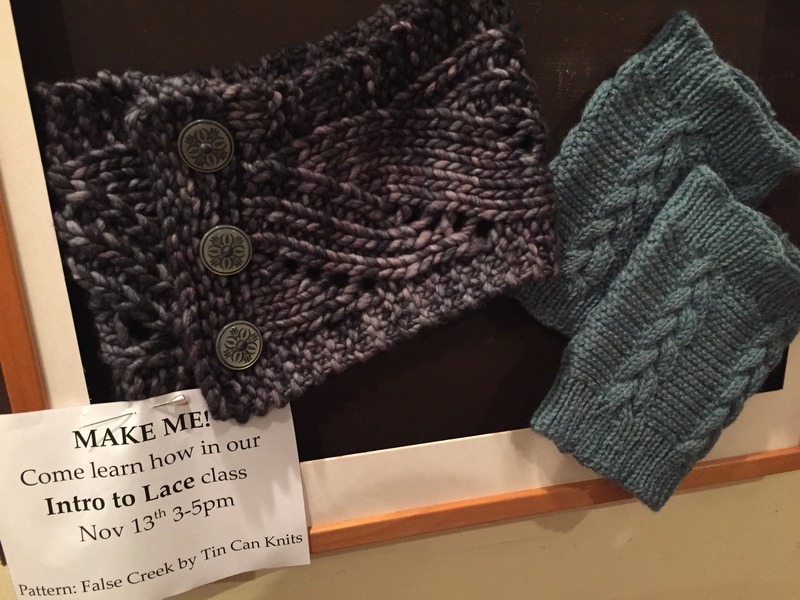 In this 3-hour class, participants will cover cables, knitting in the round, ribbing. It is highly recommended that you have comfortable knowledge of knitting and purling before signing up. Visit the store or call (604) 255 2577 to register. ← So You Can Knit and Purl?